If there’s one thing I can rarely turn down it’s snacks (generally cheese and carbs), discount shopping, naps…and toile. I’m a sucker for anything toile printed, which really is no surprise. A fabric that features pastoral romantic scenes repeatedly? Sold. The other day when I stopped quickly into a resale shop, I found a somewhat dowdy looking toile skirt that I decided I could probably turn around. Exhibit A: That’s a lot of toile. Even for me. And that skirt style? Erm….This skirt needs some love, and scissors! Voila! A new skirt was born! 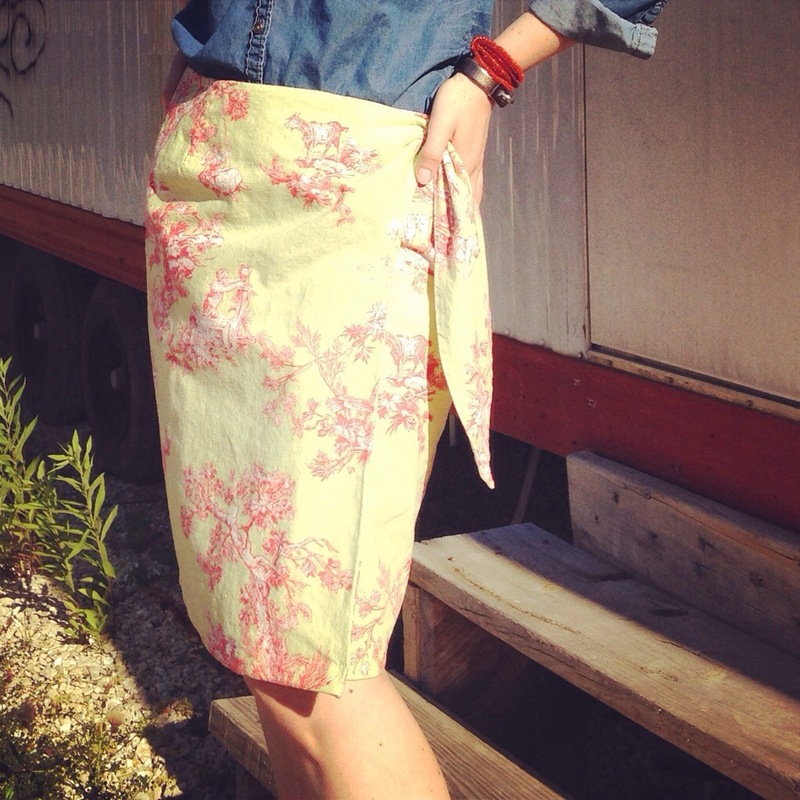 This is my resale re-do totally toile skirt. 1) My sewing skills are basic, readers. Modifications to clothes I find via resale have to be minimal for me to feel somewhat confident that I can re-style and re-sew something. Thus far, I think the easiest way I’ve found to modify a skirt or shorten a dress is just to lay one of your shorter pieces on top of the longer piece and cut along the edge (make sure to keep about 1/4-1/2 inch for the hem). Once you cut off the excess fabric, you can then measure the shortened piece to make sure your cutting is even (though I didn’t even bother with the toile skirt, I just cut carefully). 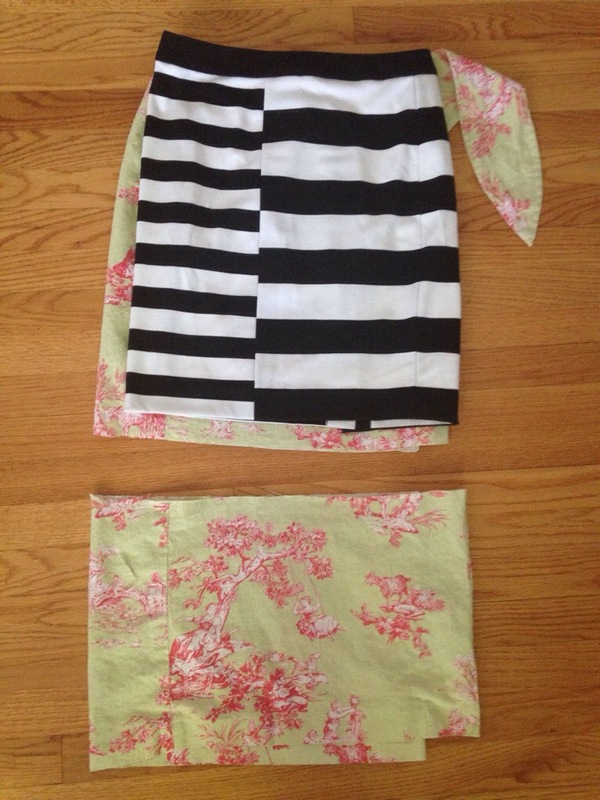 You could definitely do this project without a sewing machine and hem the piece by hand. I used the machine (sorry mom!) because it goes a lot faster. There’s a lot of long dresses at resale shops that could easily be altered, so don’t rule those finds out! 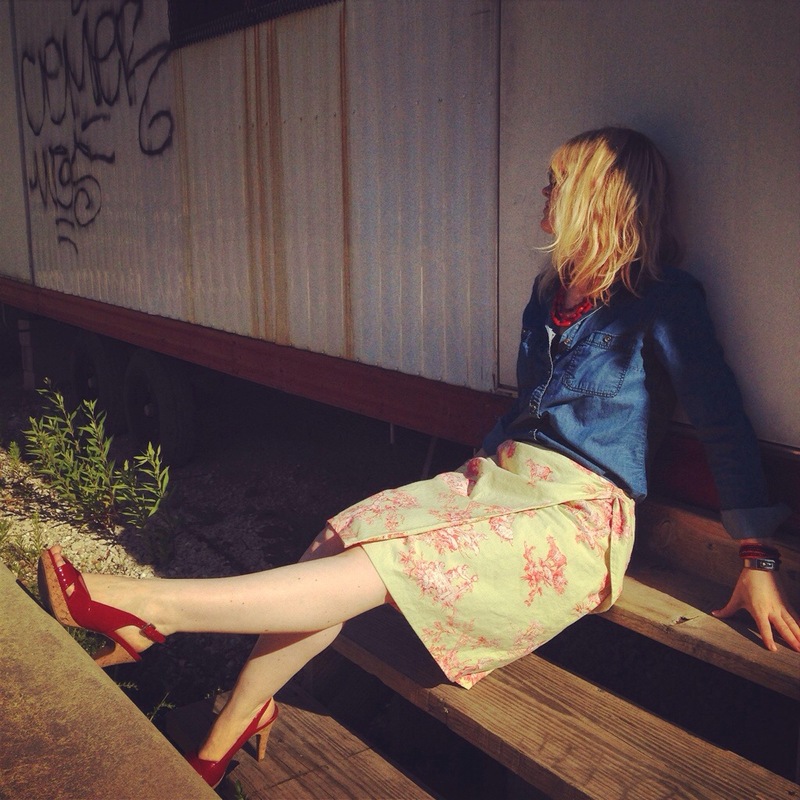 2) Given that toile has an “older” feel, I kept this look fresh with a denim shirt and heels. Additionally, because the skirt is probably over 10-20 years old, the cut is not very modern/fitted. As a result, I tucked my shirt in to give the outfit a bit more shape. Play around with it! I also may try and belt it next time I wear it, though haven’t figured out what to do with the waist tie. I’d love any styling tips you have, readers! Anyone else modify/alter their resale finds? 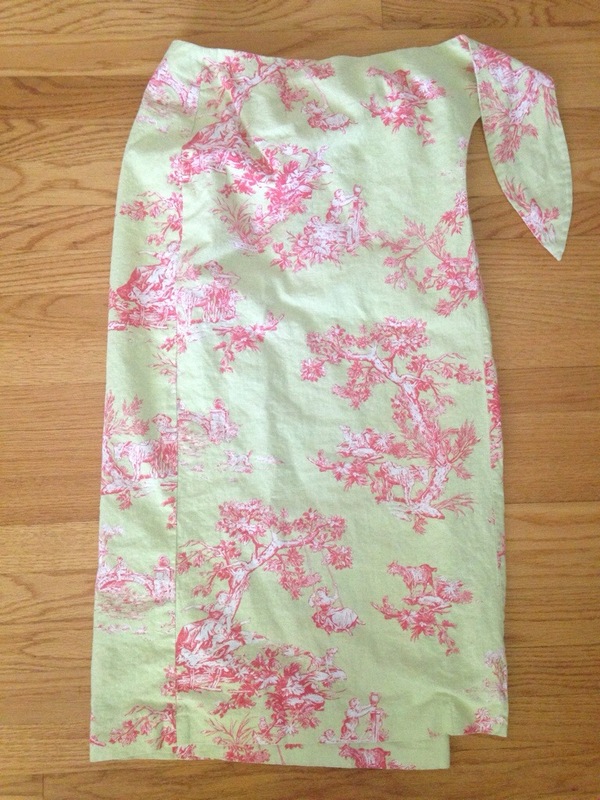 Have tips for easy alterations? Thanks so much for stopping by, readers! I hope everyone had a great weekend! Btw, if you’re interested in toile, generally, here’s a nice overview of the history of American toile. Love what you did !!! I never would have guessed that skirt was only $3! You did an awesome job hemming it 🙂 Great look!!! Love the redo on the skirt! Just ordered my sewing machine over the weekend! My crafty side is itching now 😉 hahahaah..love it hun! nicely done! i love toile, too! Ooooo love that idea!! I can definitely do that! I was also going to make a headband 🙂 but now I’ve got another project! That looks so nice! I can’t sew myself. Only the basic. I regret not learning when my mother wants to teach me. Anyway, love the look!